​​Jim Harbaugh is known for being an off-the-wall kind of coach, but even this will leave countless folks out there speechless and disturbed to be quite frank. Michigan will be facing Maryland this weekend as part of UM's Homecoming festivities. How does Jimmy feel about this? ​​What in the world did this man just say? Anyone else feeling kind of uncomfortable right now? Hey, maybe talk about how great it'll be to have the fans pack the house and alums back in Ann Arbor. Don't awkwardly focus on how homecoming is the best word in the English language. 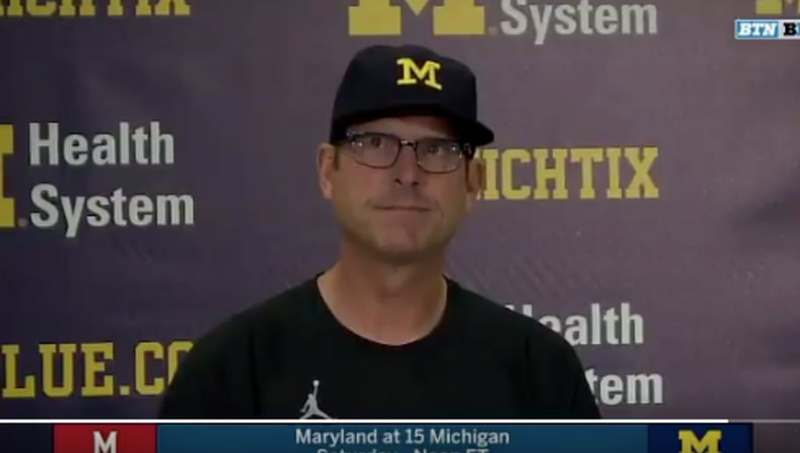 Hopefully Michigan plays a little better than ​Harbaugh was able to speak in this presser.